I recently ruined a brand new leather jacket, which taught me a thing or two about storage and cleaning. First, waxed cotton jackets are apparently waxy – waxy enough that you don’t want to store them uncovered and pressed up against other garments. If you do, the waxes and oils can stain other clothes. Like the sleeves above, which are connected to a lambskin leather jacket I just bought last winter, and then stupidly stored next to my Barbour Bedale. After finding the damage, I sent the jacket to RAVE FabriCARE – the best dry cleaner I know of – and asked what could be done. I learned a few things. First, leather jackets are hard to clean. Much harder than wool sport coats. So when you’re choosing a leather jacket, think about the overall design. Something with a rugged sensibility, such as jackets from RRL or Schott, might still look fine (if not better) with a stain or two. Something from Tom Ford, Ralph Lauren Purple Label, or any of the high-end Italian brands, on the other hand, will not. Similarly, think about the color and material. 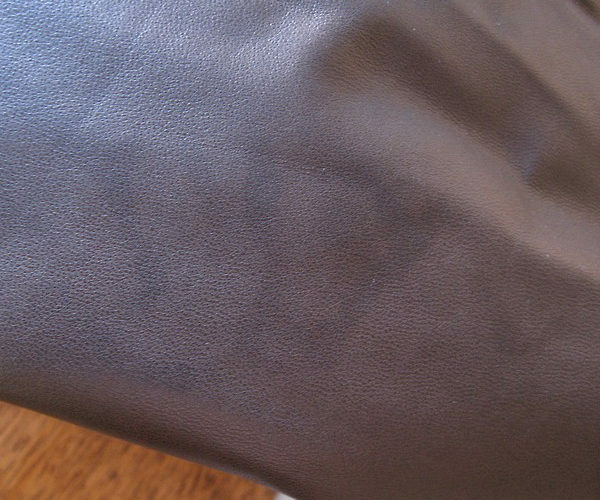 Suede is harder to clean than regular leather, and light colored materials will be harder to upkeep than anything dark. Black, of course, is the easiest to maintain. 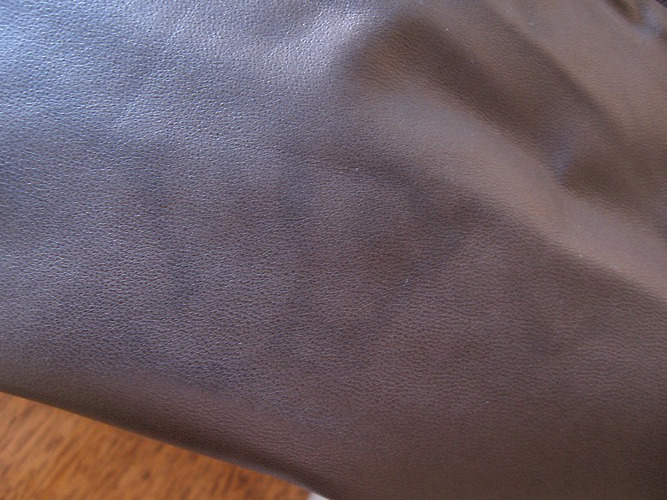 Second, leather can react to dry cleaning in unpredictable ways. Sometimes the color can fade or bleed; sometimes the leather can lose its suppleness; sometimes the garment can shrink. Always bring your jacket to a specialist who knows what they’re doing (not someone who will just dump your jacket off at a local plant), and before dry cleaning, see if the company you’re working with can apply a topical treatment first to remove the stain. Maybe you can avoid the dry cleaning process altogether. Lastly, garment bags aren’t just for suits or sport coats. Waxed cotton jackets should also be bagged, particularly if you’re storing them next to other clothes. Breathable ones made from natural materials will be best – not just because waxed cotton can get a bit musty, but also because cheap synthetic materials can degrade and let off a gas that can damage clothes. RAVE FabriCARE sells some for a reasonable price of $9/ piece. As for my jacket, RAVE applied a topical cleaner, which reduced the visibility of the staining by about 50%. We decided to save the dry cleaning for later. Meanwhile, all my waxed cotton and oilcloth jackets from now on will be bagged.